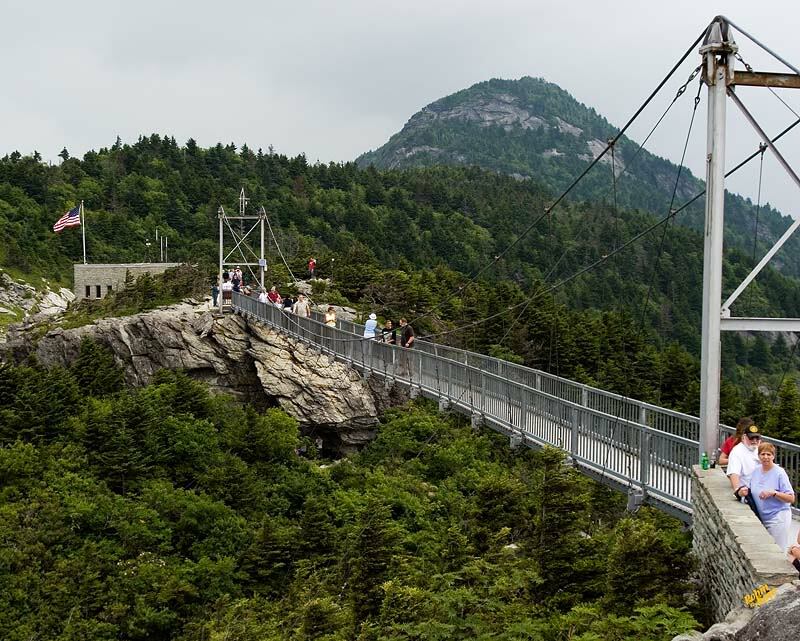 High above on the top of Grandfather Mountain in the heart of the Blue Ridge Mountains is a Swinging Bridge... a mile above sea level. Nice view from up there Robin. Interesting structure. John, you and Linda come to visit me and Charlie, and we will take you guys up there our treat. Already booked our vacation for this year - how about 2009???? Whenever you are ready we are here. Then we can come over and visit you guys in 2010! Ok, you do that, if it's available, we just may move there.